I discovered Rain Reign through a book round-up on The Mighty Girl website featuring fiction with characters on the autism spectrum. Whilst I'm well aware that many novels with autistic characters are "feel-good fiction", I began reading with no preconceptions and found I was pleasantly surprised (if not a little tearful) by the end. The novel is narrated by Rose: a ten year old girl with Asperger Syndrome who has obsessions with prime numbers and homonyms. Even her own name is a homonym! Having no memories of her mother, Roe is in a sad situation - though it seems she fails to realise this. Her father frequently leaves her home alone while he is working or drinking his sorrows. Her school teacher and aide are not particularly pleasant characters either. Luckily, her uncle, Weldon, looks out for her and she makes a friend in class who doesn't mind sharing her passion for homonyms. One night, her father brings home a stray dog for Rose: a faithful four-legged friend with whom she develops a great bond. Perhaps if I had purchased the alternatively-titled UK version, I may have had some inkling about the events to unfold (no spoilers here!)... Needless to say, things take a turn for the worst, and Rose learns valuable life lessons in her efforts to overcome them. 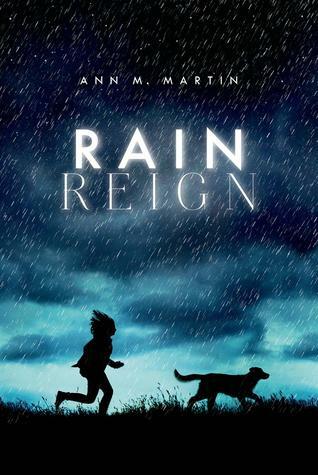 Using simplistic language and first-person narration, Rain Reign is most likely to appeal to children around the same age as the central character (a ten year-old fifth grader); if, like me, you're an adult who loves an emotional YA read, I'm sure you'll enjoy it too.